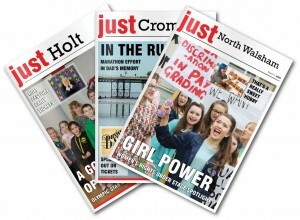 Just Regional provides local community news and advertising, and is becoming recognised as THE source of reliable and accurate local information. 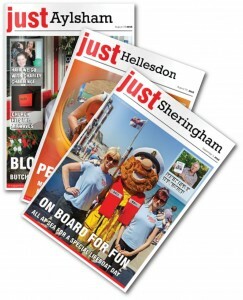 Just Regional was formed by a group of publishing professionals with decades of trade experience, and creates superb quality, town-based magazines. A high quality sales team able to sell a full range of products to small traders and national companies, and any business in between. Excellent, locally relevant editorial produced via user generated content, experienced journalists with well-kept contact books and professional photography. Effective and reliable door-to-door distribution, meeting the needs of advertisers and readers. Just Regional was founded in 2008 by Lee Todd, who has many years of experience working for local press. It was apparent that residents had a thirst for news about their community and Lee saw there was a clear gap in the market for a publication that could provide this information. Our first magazine was Just Aylsham and since then we have built our portfolio up to 10 magazines as well as Christmas and Summer specials. We are a forward thinking company focusing on news specific to each publication area, keeping the content of each magazine hyper-local, meaning every story is relevant to the local area and the magazines continue to be well read. Just Regional – is it for you? Due to the success of the business and the straightforward structure of the model, Just Regional are seeking like-minded individuals, partners, or couples with fantastic people skills, sales ability and the drive and determination to succeed, who also see the value in genuine hyper-local publishing, to join, and expand, the brand throughout the UK, as franchisees. Whilst this opportunity is suitable to those with no prior industry knowledge, there will undoubtedly also be experienced people working for large news / publishing companies in sales or editorial who are wondering why they are making money for the company and not for themselves. It may be that some of them are prevented from taking that step because they are sales people who do not know enough about editorial, or vice versa. The beauty of a franchise with Just Regional is that we can train, advise and support people in all aspects of the industry, so if you are not comfortable in certain fields, we can help. Just Regional has a proven formula and procedures for making hyper-local publishing work. As you will be investing into our franchise, we will be asking probing questions to ensure that you are absolutely positive that it is the right opportunity for you, that you know exactly what to expect, what you need to do at each and every stage and what is expected of you. This is a partnership and as such must work for both parties. Our extensive training programme will ensure that all franchisees learn all aspects of running a successful Just Regional franchise by attending an intensive, tailored training course at our head office. Practical hands-on training will be given with each franchisee’s own clients once their business is launched. No previous industry experience is required as the comprehensive training will ensure that, within a short period of time, you will be in a position to run your own Just Regional franchise PLUS you will have a dedicated team in the background ready and willing to help and support you. Our team is highly experienced with the Just Regional system and indeed in the wider market sector. This experience brings with it a great deal of respect for the brand. We can also use this experience to train and guide our franchisees through the rigours of starting an excellent, long term, viable business as they become a member of the ‘Just Regional Family’. The total investment to buy a Just Regional franchise is £15,995 + VAT. As a work-from-home business it is possible to publish three publications, each achieving income of circa £5,000 per month per publication with a gross profit margin of 40%. If franchisees adhere to the model and guidance, there is no reason why they cannot achieve 3 publications within the first 12 months.